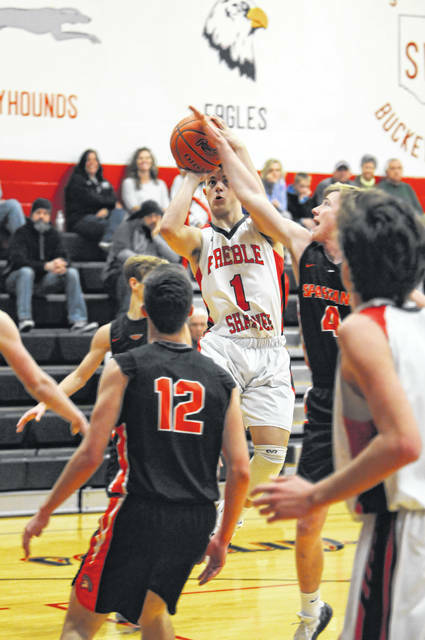 Preble Shawnee’s boys’ basketball team stayed about the .500 mark with a split of its two games last week. 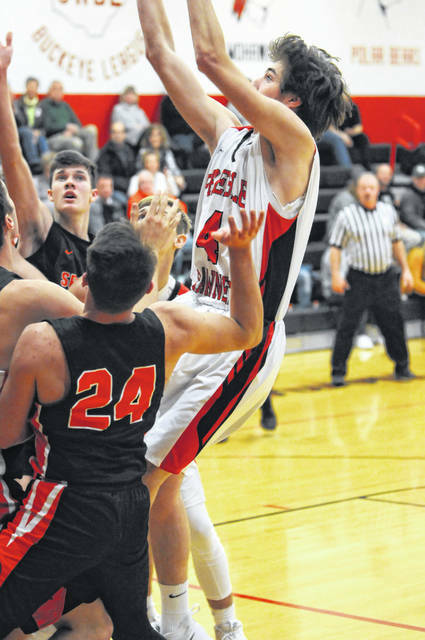 On Tuesday, Jan. 15, Waynesville handled the Arrows, 72-42. 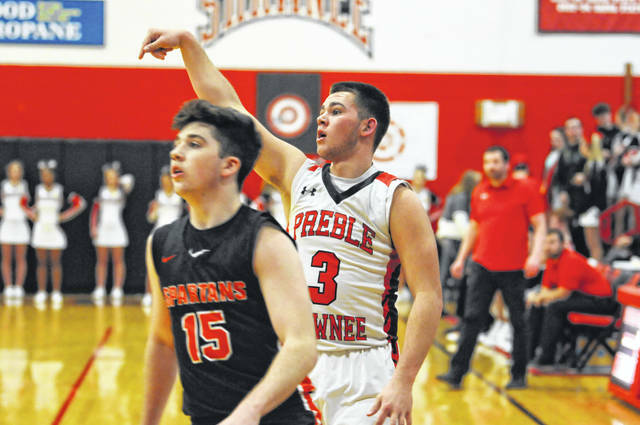 Bryce Singleton led Shawnee with 13 point and Calvin Leeth added 10. 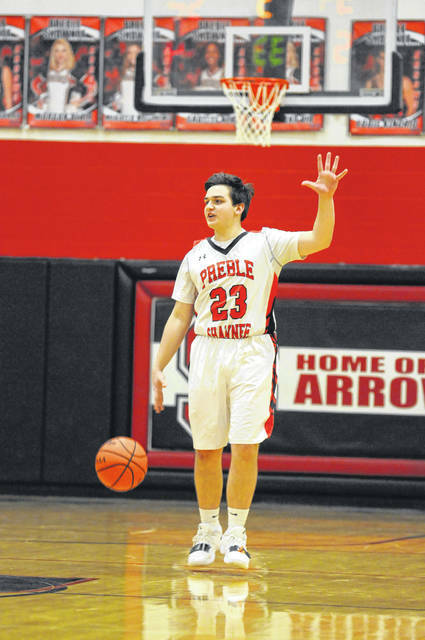 On Friday, Shawnee jumped out to a big first half lead and cruised to a 71-35 win at Dixie. Leeth scored a career-high 23 points and had four steals. Singleton tallied 15 point and eight rebounds. 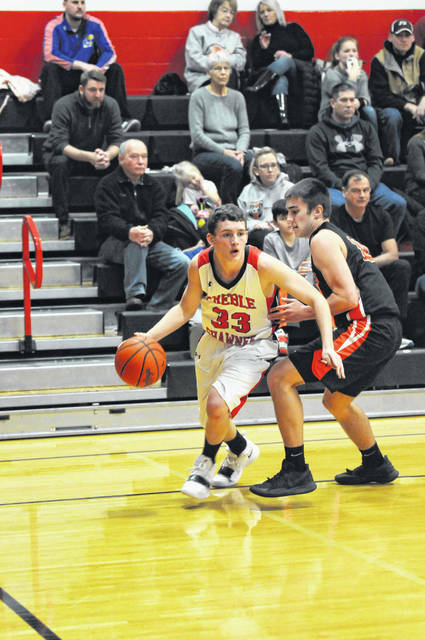 Samuel Agee, Luke Woodard and Gunner Powers each scored six points. 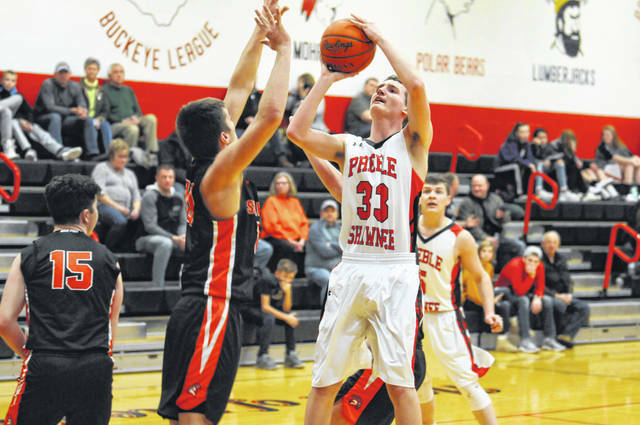 Shawnee, now 7-6 overall and 5-3 in the SWBL, is scheduled to host Carlisle on Friday, Jan. 25 and Twin Valley South on Saturday. 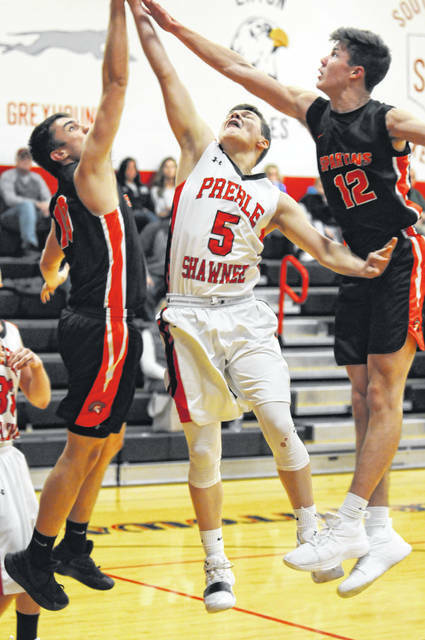 https://www.registerherald.com/wp-content/uploads/sites/41/2019/01/web1_psbbk4-1.jpgPreble Shawnee’s boys’ basketball team stayed about the .500 mark with a split of its two games last week. 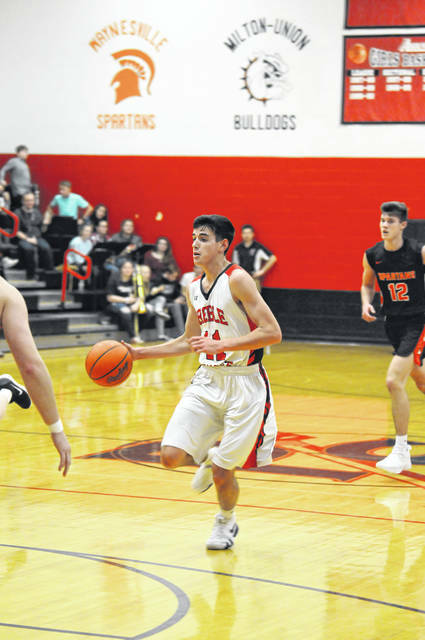 On Tuesday, Jan. 15, Waynesville handled the Arrows, 72-42. Bryce Singleton led Shawnee with 13 point and Calvin Leeth added 10. On Friday, Shawnee jumped out to a big first half lead and cruised to a 71-35 win at Dixie. 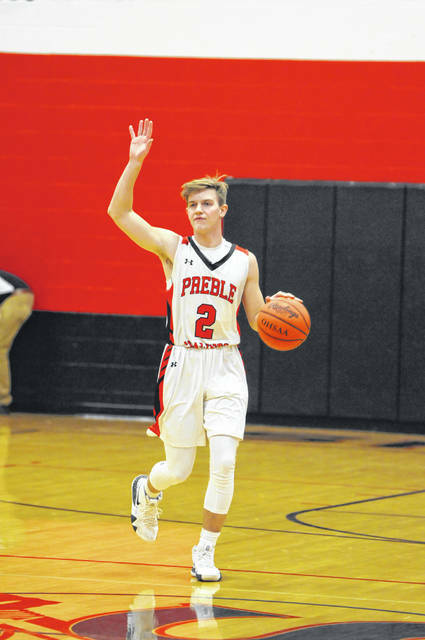 Leeth scored a career-high 23 points and had four steals. Singleton tallied 15 point and eight rebounds. 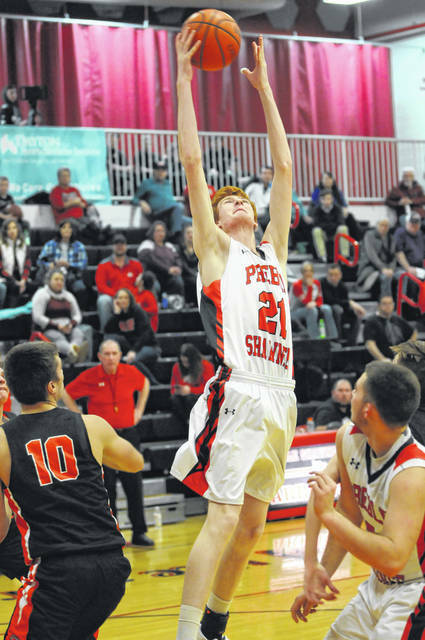 Samuel Agee, Luke Woodard and Gunner Powers each scored six points. 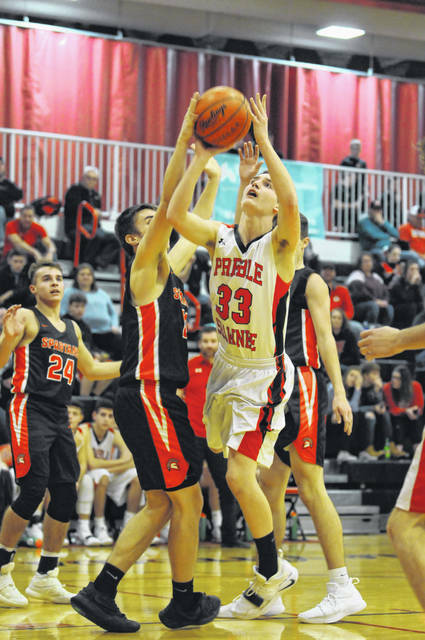 Shawnee, now 7-6 overall and 5-3 in the SWBL, is scheduled to host Carlisle on Friday, Jan. 25 and Twin Valley South on Saturday.